As the holiday season approaches once again we are all interested in looking and feeling our best. This includes making sure that we have a bright white smile. While there are many choices to whiten your teeth, you should know that not all methods will work for everyone. Choosing the wrong teeth whitening system can costs you time and money that you can’t afford to lose this holiday season. Before you attend that holiday office party, or play hostess for your family and friends, make an appointment with Dr. Donnelly and his team at San Marcos Gentle Dental. You can get your bright white back in just one visit. Dr. Donnelly provides fast and easy teeth whitening treatments to patients throughout San Marcos, TX, Kyle, Wimberley, New Braunfels and the surrounding communities. What Are Your Teeth Whitening Choices? Whitening Toothpaste- Whitening toothpastes can only polish away the shallowest surface stains. They are completely ineffective for removing enamel stains or correcting discoloration. To see any results the toothpaste must be used daily for several weeks. Whitening toothpastes can’t come close to producing the bleaching effect you get from your dentist’s office. Over-the- Counter Whitening- These products may come in the form of strips, gels, rinses or whitening trays. They contain bleaching agents to change the color of your teeth; however they’re not as strong as professional teeth whitening treatments. They can also take weeks of daily use before you begin to see any significant color correction. In addition, these products can easily irritate your gums if used improperly. You shouldn’t have to wait weeks and weeks to get the teeth whitening results you want. If you want instant results in a professional setting, you should seriously consider in-office bleaching or professional at-home whitening. In-office whitening with the Zoom! teeth whitening system can take less than an hour and you can leave the dentist office with teeth that are 8 to 10 shades whiter. With professional in-office whitening, your dentist will make sure that the teeth whitening treatment will be effective at getting you the whitening results you desire. If you prefer at-home whitening Dr. Donnelly can also provide you with custom whitening trays along with peroxide-based gels that you can take home for the same professional whitening results. 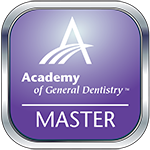 Make an appointment with San Marcos Gentle Dental today for your holiday teeth whitening appointment. 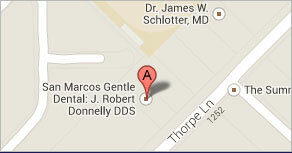 Dr. Donnelly proudly serves the Kyle, Wimberley, New Braunfels and surrounding areas.